Dr M is always delighted when his students move on from University of Reading to push botanical boundaries forward in their careers, and Charlie Campbell is one such, one of Dr M’s recent MSc Plant Diversity students and now a PhD student and deep Sphagnophile to boot! Charlie is already known to DrMGoesWild, previously seen discussing, you guessed it, Sphagnum (check his previous Sphagnum post here). 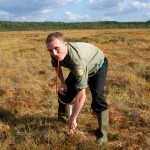 I am… Charlie Campbell, a PhD student at Uppsala University, Sweden studying Sphagnum. I got into botany… By accident. I finished my undergraduate at UEA with an interest in the effect of parasites on communities and whilst there stated “I never want anything to do with plants they are boring”. I worked as a summer warden at Weeting Heath for two seasons and whilst there realised that, whilst it was fun to watch birds do their thing there was a lot of sitting around waiting for stuff to happen. The plant life there has many species which are rare in the UK and it was much more fun to wander around identifying those. 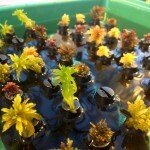 I have worked with plants… Across the UK as a consultant and now based in Sweden. The biggest challenge for botany today… There is not a positive correlation between rare, pretty things and interest or all species are equally interesting or Orchids are not the only plants. It’s normal for people to be attracted by large, brightly coloured, charismatic species; it’s why most people have rose gardens rather than moss gardens. If one looks down at the path of any rose garden (or indeed any path, pavement or disturbed piece of ground the world over) it’s likely you will find the small silvery shoots of Bryum argenteum (Silver-moss). This commonly overlooked species has a truly cosmopolitan distribution, occurring in suitable habitat from Spitzbergen to Antarctica, i.e. every continent and probably every country. It has been recorded on tropical Pacific islands and has survived 4.4 Million years of glaciation cycles on Antarctica. Its ubiquity is probably due to its hardiness. Usually populations of plants on sites with high heavy metal concentrations show strong genetic divergence between sites, Bryum argenteum does not) it may grow a little differently but that is not reflected in its genes. Common things have interesting stories to tell, if we just take the time to look. My favourite plant… Trichocolea tomentella (Handsome Woollywort) because it looks awesome (Dr M agrees, check it out here). My botanical superhero… Heinz Ellenberg his Vegetation Ecology of Central Europe is a fantastic book and his indicator values can provide quick insights into vegetation ecology. A. Jonathan Shaw and Deborah L. Albright (1990). 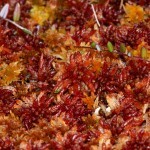 Potential for the Evolution of Heavy Metal Tolerance in Bryum argenteum, a Moss. II. Generalized Tolerances among Diverse Populations. The Bryologist, 93, 187-192.